ADIRONDACK REGION, NY (August 16, 2010) -The Adirondacks are known for being a place of outstanding beauty, outdoor activity and relaxation during the summer months. In August, the uniqueness of the region is brought into focus as vacationers stroll Main Street, pop into shops or pull off rural county routes to buy fresh produce from a farm stand. With tranquility in mind, Ron Ofner, executive director of the Adirondack Regional Tourism Council, provides his recommendations for those lazy summer days when all you want to do is enjoy the wild beauty or the charming towns of the Adirondacks. "As summer winds down, many of the region&apos;s visitors want a getaway that&apos;s relaxing, fun and takes full advantage of everything within this unique area," Ofner says. "With that in mind, here are some top picks for places to visit and events to check out to enjoy your lazy Adirondack days." Best Places in the Adirondacks to: Rent Bikes: Placid Planet in Lake Placid offers a wide range of rental bikes - from road to hybrid, to children&apos;s and all kinds of mountain bikes. Ride to the farmer&apos;s market, the beach or one of the trails networks for a fraction of the cost of a new bike. The friendly staff members at Placid Planet are cyclists themselves so don&apos;t be afraid to tap into their trail knowledge. If you&apos;re in the Lake George area, Inside Edge Ski &Bike Shop in Queensbury or Beach Road Bait & Tackle in Lake George are the places to go for bike rentals. VisitAdirondacks.com&apos;s bicycling page also provides free downloadable maps to bikes trails and centers throughout the region. Find Roadside Farm Stands: Adirondack Harvest offers Adirondack farms and farmers a chance to distribute fresh produce, meats and goods throughout the region to markets, store&apos;s restaurants and stands. An interactive map on their website allows visitors or residents to find the closest and freshest locally produced goods, hours of operation and seasonal delights. In Saranac Lake, the Farm2Fork Fest gets underway in September with cooking demos, children&apos;s events, delicious food and more. Hike Nature Trails: Adirondack Visitor Interpretive Centers in Paul Smiths and Newcomb offer great nature trail loops with informative signs about area wildlife and plants. All summer long, special events like group paddles, hikes or bike rides allow visitors to get out and enjoy the area without going far. The Mirror Lake Loop in Lake Placid is a 2.7 mile walk around the lake that is a favorite with locals and visitors. Just down the road on Bear Cub Lane, Henry&apos;s Woods Nature Preserve offers a 2.5 mile loop through the forest. High Falls Gorge in Wilmington offers spectacular views of the Ausable River and gorge from half a mile of walkways. Take a guided tour or set out on your own. Splash in Water Parks: Ausable Chasm happens to be one of the oldest attractions in North America- and the coolest. Nature trails, scenic vistas and waterfalls merge with rafting and tubing in the Chasm for the perfect hot weather activity. The Great Escape and Splashwater Kingdom near Lake George is a family favorite with more than 135 rides, shows and in-park attractions. Great for the day or a whole weekend. Go Antiquing/Shopping: One of the delights of traveling or exploring a new place is going shopping, and fortunately the region&apos;s 100 towns and villages offer some of the most unique shopping experiences around. 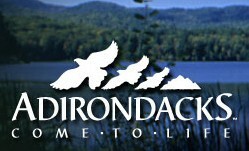 VisitAdirondacks.com has a shopping page to die for! Log on, find maps, directions and deals and head out into the wide-open. Take "Sunday" Drives: Fourteen Scenic Byways criss-cross the Adirondack Region, offering drivers a unique way to experience different areas of the region. Travel along the Lakes to Locks Passage, which traverses the route where French and Indian War and American Revolution conflicts played out. Ruins, re-enactments and interpretive centers offer information and historical context along the way. Or drive along the 30-mile High Peaks Byway through Keene Valley and Lake Placid with stunning views of the highest peaks in the Adirondack Mountains. Peruse Art Galleries: The Adirondack Lakes Center for the Arts in Blue Mountain Lake is a great stop for visitors heading to or from the Adirondack Museum. Stop by for one of the Center&apos;s concerts, theatre presentations, tour exhibits or sign up for a workshop. Great for children and adults. Saranac Lake is an up-and-coming arts community. Check out the Great Adirondack Days Festival throughout the summer. Artist walks, outdoor concerts, a canoe race and so much more make this event - which lasts through September 26th - a must for anyone looking to relax and enjoy a stay in the Adirondacks. Tour Museums: Right now, the Adirondack Museum at Blue Mountain Lake is featuring an exhibit that gets to very heart and soul of food. "Let&apos;s Eat! Adirondack Food Traditions" will be on display through October 18, and celebrates food and the pleasures of eating - Adirondack style. At the Wild Center in Tupper Lake, find out which wild things are returning to the Adirondacks or watch the otters gamble. The Hyde Collection in Glens Falls also offers special events and programs for kids and adults. At historic Fort Ticonderoga and the King&apos;s Garden, check out the fort&apos;s historic military past and meander through the gardens or watch a military re-enactment. Take a Scenic Train Ride: The Adirondack Scenic Railroad&apos;s Thendara Line travels 20 miles from Thendara to Otter Lake. Or, hop aboard the train in Utica, and spend the day traveling through rural Adirondack country. Traveling the Adirondacks by train offers a rarely seen look at towering peaks, rushing rivers, deep woods and wildlife - you may even glimpse a moose! Check out VisitAdirondacks.com&apos;s extensive list of lodging packages and enjoy those lazy days of summer.